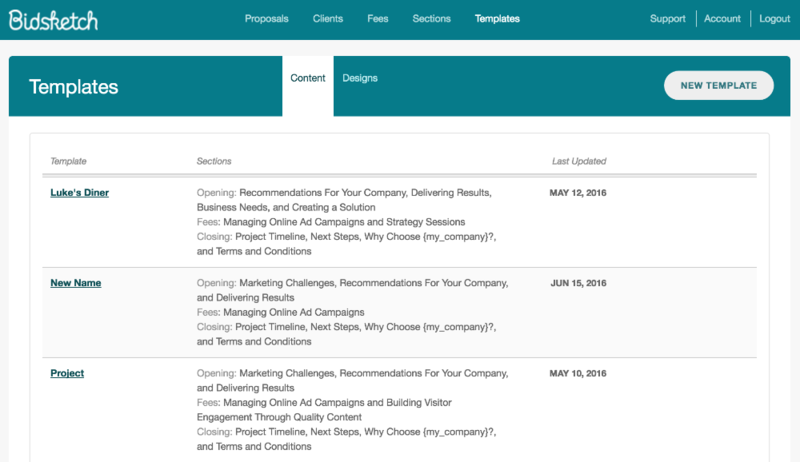 The content templates in Bidsketch are the bread and butter of your proposal experience. They help you save time and energy by allowing you to store reusable sections and fees, as well as giving you a platform of existing material to work from. The industry templates are penned by informed professional writers to ensure that you get the best content out there. You can create a content template one of two ways. 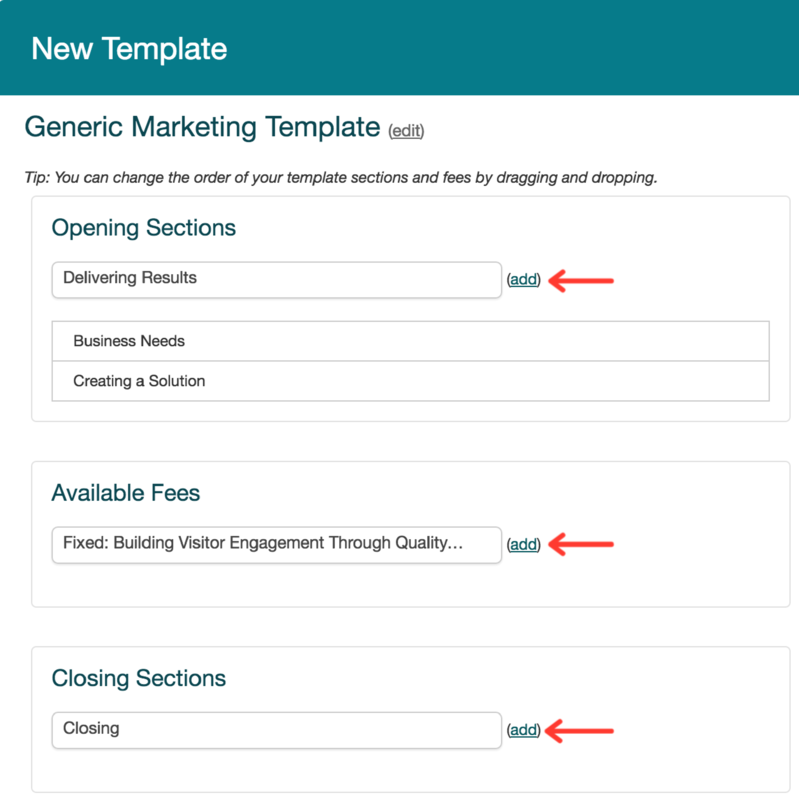 The first way is to build a template from your sections and fees. A template is an organized collection of sections and fees that you use by default in your proposals. You can always add and remove sections or fees, but it's a quick starting point. Click on the "new template" button. Type in the name of your template, and click the "save" button. Now, select the opening and closing sections, and fees you want to include by choosing them from the drop down menus and clicking on the "add" buttons. You can move sections around by dragging them, or remove them by hovering and clicking on the "remove" button. To create a new content template the second way, all you have to do is create it from an existing proposal. To do this, go into the details page of the proposal you want to make the template from (which you can do by clicking on the title of the proposal), and click on the "template" button on the right side of the page. That's it! That unique set of sections and fees will now be a template in your list for future use. To edit an existing content template, you can hover over the template (in your Templates menu) and these links will appear. Click on the “edit" link, make your changes, and save. To delete a content template, hover over the template you want to remove, and click on the “delete" link.